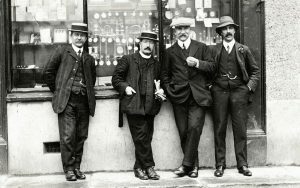 Once upon a time, a hundred years ago, we’d dress in our finest attire to go to town. Hats, spats, corsets, and boots. We’d fill our purses and wallets with cash and change. We’d hitch the horses to a wagon, buggy, or carriage. When we arrived in town or the big city, there we would shop for our groceries, paper goods, clothes and other sundries. We’d go to the bank, the lawyer, and the post office. We’d arrive home with bundles of items wrapped in brown paper and string with all our errands done after a long day. Cars, motorcycles, and SUVs have replaced horses and wagons. Hats, corsets, and spats were abandoned. Brown paper and string were replaced by fancy, glossy, logoed bags. We had to go out to get the things we needed. We have now evolved where we can order meal boxes online that come complete and are delivered to our door. We sit at home cozied up on our couches watching movies on Netflix more than we attend the theater. We lay on our couch and swipe through listings on Amazon and Etsy, then wait a few days for a treasured delight to be delivered. These things arrive at our door delivered, not by Santa or grandma, but by FedEx or UPS. We go on the web to places like Facebook, Walmart, Google, Amazon and many more. We pay for our goods and services via Paypal, Venmo, Google Wallet, Skrill. We have all our banking and investments on apps that are on our phones. We have more digital experiences than we realize. We have come to count on technology to make our lives easier, better, and more functional, so we can do the things we love, such as watching marathons of Game of Thrones or Harry Potter. We can then have a barbecue or one of those boxed lip-smacking meals. These decisions are highly nuanced and personal, even though we are reflecting on our generation, our culture. Of course, we use a lot of data to inform our decisions and we try to protect our personal information. People voice fears of artificial intelligence and humanoid robots run amok. We don’t want to be lost in the maze of data. A time-honored way to acknowledge your identity and willingness to enter into something legally binding, like a loan or a mortgage, is by having it notarized. That face-to-face recognition assures everyone that you are who you say you are. Nothing is final, binding, and affirming until the notary public applies their embossed legal stamp of approval verifying the borrower and the seller’s identity. In fact, the stamp and important duty of a notary public began in ancient Rome. Notaries public, also called “notarial officers,” “notaries,” or “public notaries,” were the final stamp. But how does an ancient practice that is legally binding and life-affirming translate into a digital age where loans and mortgages can be obtained by the use of your phone? 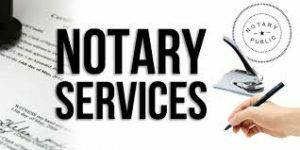 All you have to do is call a mobile notary company and they will come out to your location whether in-home, weekend and evening closings at your choice of location. They will print and provide documents, ensure proper endorsement, and expedite their return with overnight shipping. You don’t have to worry if you need a notary at the last minute. They can work in every major US city. 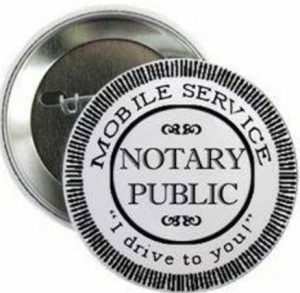 Superior Notary Services provide mobile notary signing services when and where you need them. You don’t have to hire an in-house notary agent, and you will never pay for more than you need. You get a flexible signing service for those times when you need it. We’ve moved into a digital age, and there are many advantages and conveniences and new protections. Utilizing a mobile notary is the wave of the future.